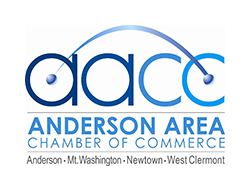 The Anderson Area Chamber Foundation is a 501c3 non-profit organization that funds the three AACC Business Scholarships that are given to Anderson High School, Turpin High School and McNicholas High School. Each school is then responsible for selecting a graduating senior that plans to study business or a related course of study in college. The Foundation also funds the Heart of a Champion Scholarship, which is a scholarship that is given to a local graduating senior that has overcome personal or physical struggles and shown exemplary leadership in the face of adversity. This scholarship is not necessarily given every year and the potential recipient(s) are either recommended by members of the community, school district or identified by chamber staff. The Foundation funds the first $100 of the scholarship and the remaining monies come from local businesses (mainly Chamber members), who either match or exceed the donation. The Foundation is currently funded with tips collected at the Chamber's Party on the Plaza event.